Call Center Strategic Assessment | The Taylor Reach Group Inc.
Taylor Reach has assessed thousands of contact centers around the globe from centers with as few as 5 or 6 agents to global contact center organizations with tens of thousands of agent positions, so we understand the thousands of moving parts that impact on center operation and performance. Each activity, process, technology and workflow impacts on others within the center and understanding these sometimes subtle interactions is critical to getting the most value from your contact center organization. Process examining all process that ‘touch’ the contact center, both the frontline and related back office processes completed by the center. We examine the call flows and workflows and any existing process maps. Technology we examine all telephony and technologies employed in the center(s) and assessing if you are using your existing technology stack to the best of its capabilities, identify if other or different technologies can add value or save costs. Methodology, we look at the way the center(s) is managed, how reporting is employed to make decisions and where analytics can enhance the center performance. 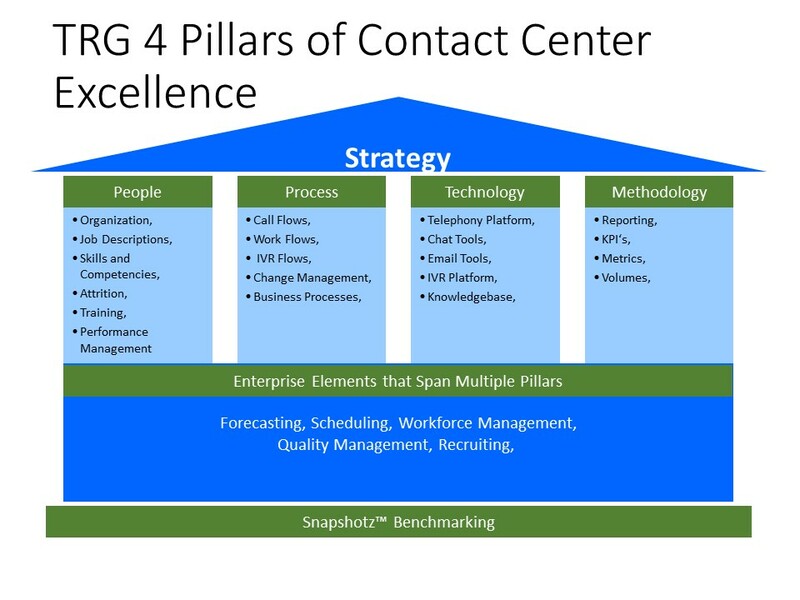 We also examine the contact center strategy to gauge alignment between the strategy, the current state of the center operation and whether it supports the desired future state. Read Our Case Studies: "Re-Imagining a Service Model" & "Transforming Retail eCommerce"
Need Change in your Strategy?